Arsenal have reportedly offered German star Mesut Ozil to Serie A side Inter Milan – who have in turn turned down the chance to land the midfielder, the latest reports say. Mesut has featured only once since Boxing Day, playing 76 minutes in the 2-1 victory against Cardiff last month. But after failing to come off the bench versus Manchester City the previous week, the playmaker is facing an undermined future under Spanish manager Unai Emery. The Gunners coach has regularly dropped the star in the latest months, leading to rumours that the club’s highest earner will soon be on his way. The Italian heavyweights claim the north London club have offered Mesut Ozil to Inter Milan in the latest days. But an Italian news outlet CalcioMercato claim this isn’t the first time the Gunners have asked the Italian club about their interest. Mesut was also offered to the Serie A giants the previous year – but the club have snubbed the chance to sign the German star on each occasion. Inter Milan reportedly are not interested in a move due to his high wages and performances in the latest months. 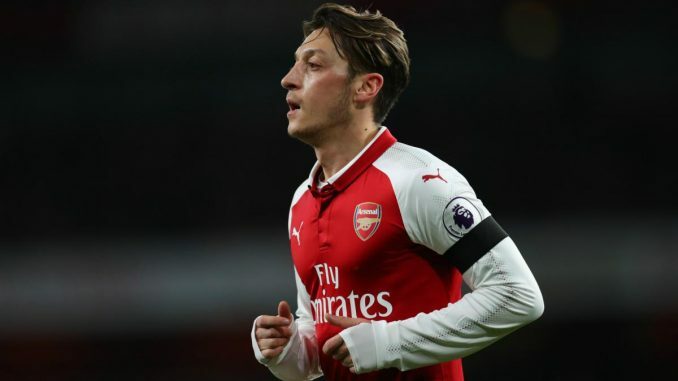 Mesut was left out of Unai Emery’s 18-man roster for the trip to Huddersfield On Saturday, ruled out through illness along with Gabon international Pierre-Emerick Aubameyang. The Gunners are fifth in the table after they beat Jan Siewert’s side 2-1 on Saturday and overtook Maurizio Sarri’s Chelsea without kicking a ball, by virtue of the west London heavyweights’ woeful 6-0 defeat to Pep Guardiola’s Manchester City.